Cameron McMaster died on the 25th of November 2018 at the age of 81. Cameron grew up on a farm close to Cathcart, South Africa where he developed a passion for sheep, birds, butterflies, and flowers. For most of his adult life he was involved in introducing Dohne Merino sheep and consulted with farmers in many countries. With his wife Rhoda McMaster he started The Croft Wild Bulb Nursery in Stutterheim in the Eastern Cape of South Africa. In May 2003 they moved to the village of Napier (Western Cape, south of Caledon near Bredasdorp) where they had a new nursery called African Bulbs. After moving Cameron led many botanical tours of both the Eastern Cape in summer and the Western Cape in late winter, early spring. Participants on these trips remember the wonderful places he took them and his enthusiasm for all he showed them. Besides writing articles for farming journals, he also wrote articles about bulbs, discovered new species of bulbs, and gave talks. He spearheaded protection of a section of renosterveld near Napier. He and Rhoda were active members of the Indigenous Bulb Association of South Africa (IBSA). Cameron was a generous contributor of his photos. At the time of his death his photos were on more than 300 pages of this wiki. 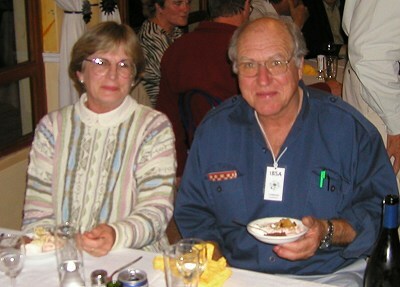 Below is a picture taken by Bob Rutemoeller of Cameron and his wife at the IBSA Symposium in August 2003.